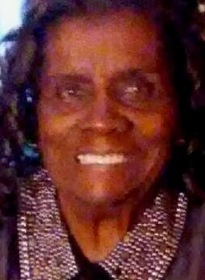 Mrs. Doreatha Black, 83 of Forrest City, died on October 15th, 2018, at St. Francis Hospital in Memphis, TN. Mrs. Doreatha was born May 13th, 1935 in Twist AR, to the late Mr. Felune Holmes and the late Mrs. Doris Hill. Survivors are sons, Mr. Roosevelt Black of Texas, Mr. Edward Black of Garland, TX, Mr. Freddie Black of Garland, TX; daughters Ms. Roberta Black of Forrest City, AR, Ms. Dorothy Black of Forrest City, AR, and Ms. Catherine Black of Forrest City, AR; brothers, Mr. Connie Holmes of St. Louis, MO, and Mr. Eddie Holmes of Caldwell, AR; sisters, Mrs. Ella B. Hall of Michigan, Mrs. Dorothy White of Forrest City, AR, Mrs. Arlene Henderson of St. Louis, MO, and Mrs. Earnestine Holmes of Caldwell, AR. The Funeral Service for Mrs. Doreatha Black will be at 2:00pm on Saturday, October 27, 2018, at Salem Baptist Church, Forrest City, AR. Interment will be in Casteel Cemetery, Forrest City, Arkansas. The family will receive friends from 1:00pm - 5:00pm on Friday, October 26, 2018, at CLAY FUNERAL HOME, 2522 East Broadway, Forrest City, AR.